The host of the 53rd annual Academy of Country Music Awards performed her hit song “Does He Love You” in the same dress she wore 25 years prior to perform the song. Reba announced the fun fashion fact while giving the dress designer a nod on Sunday. Yes, that means Reba’s still got the same svelte physique she had more than two decades ago. The now 63-year-old singer looked incredible in the burgundy ballgown, which featured a sheer neckline and sleeves and sparkling details throughout the bodice. She teamed the look with a set of diamond earrings. 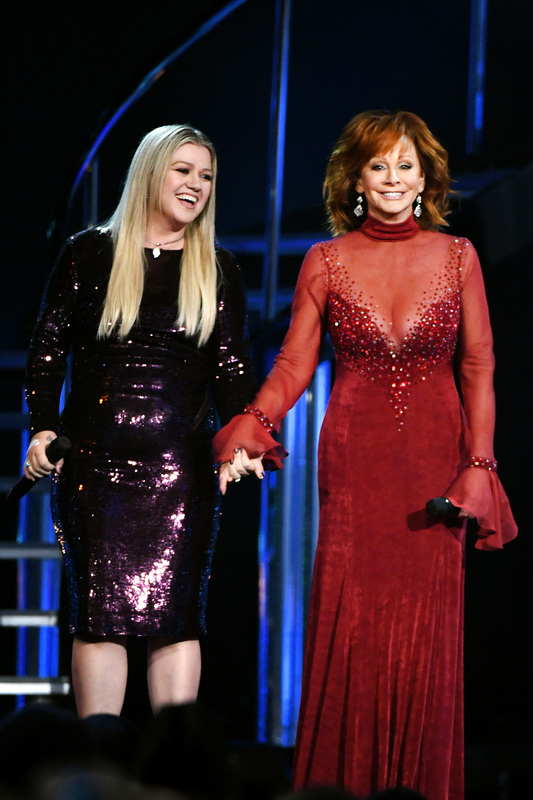 Reba performed her hit song alongside her daughter-in-law, Kelly Clarkson. The duo’s rousing rendition of the soulful song was one of the biggest vocal performances of the evening. Looking good and singing great, Reba!